Last weekend the Thames Festival took place in London. 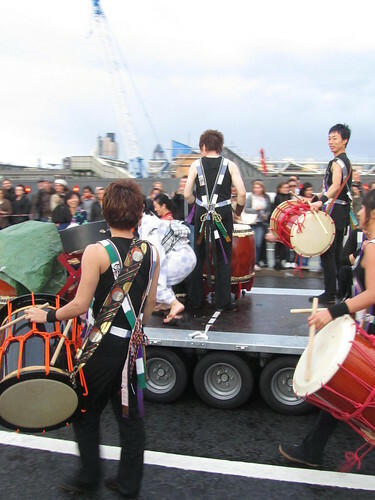 The Thames Festival celebrated the mixture of different cultures present in London, including Polish, Brazilian, Spanish, Korean and Japanese. 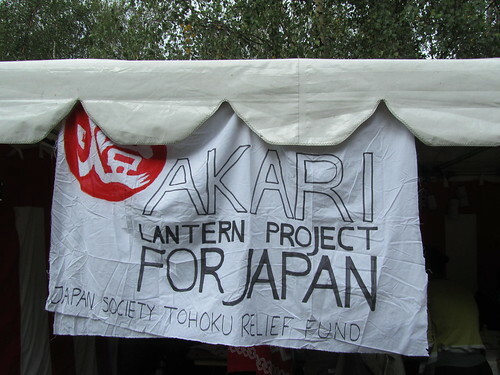 The Japanese community was represented by the Akari Lantern Project, organised by the Japan Society of the UK and lots of volunteers. 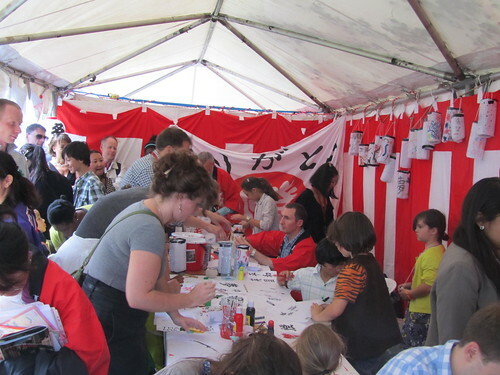 During the day, there was a marquee by the Tate Modern, where people could try Japanese crafts and help making lanterns from water bottles. 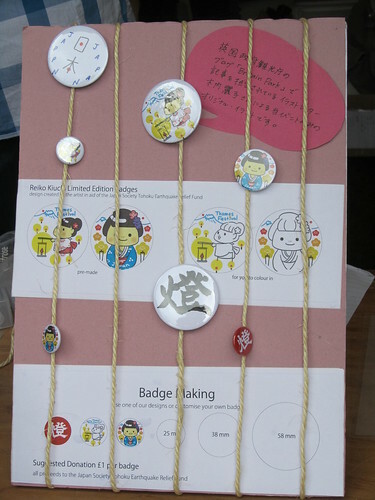 It was lovely to see lots of kids taking part, and the badge making seemed to go down especially well. 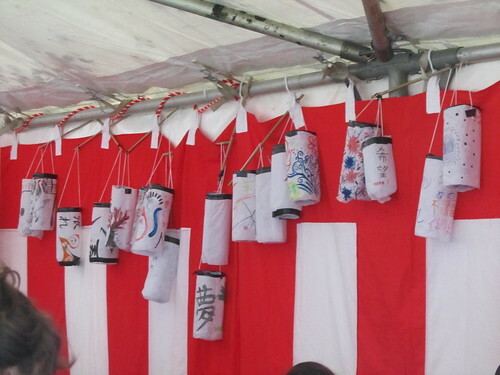 Participants were encouraged to donate when they made something, and over £900 was raised for the Japan Society Tohoku Earthquake Relief Fund. In the evening on the Sunday, there was a Night Parade. 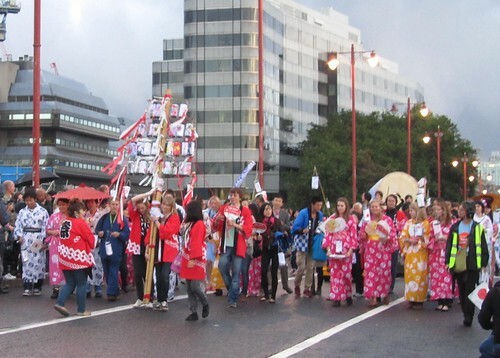 Volunteers took part in the parade, and walked to the beat of Joji Hirota‘s Taiko Drummers. 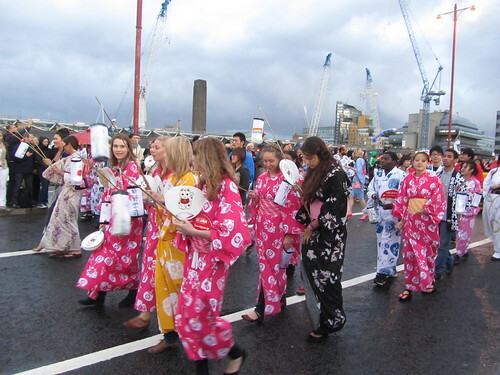 The weather wasn’t great, but it was lovely to see people wearing brightly coloured yukata and walking through the streets of London. Unfortunately, as the float passed me by, Joji Hirota had just finished a song, so I couldn’t catch the drummers in action. 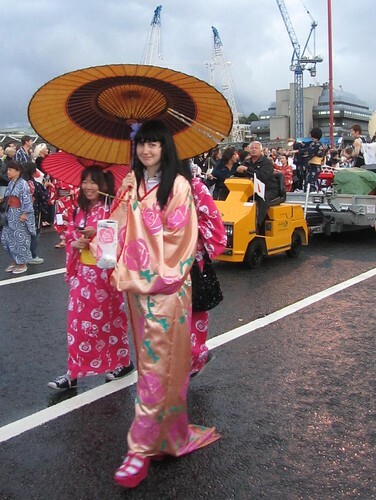 Despite the weather, everyone seemed happy to be representing Japan in the parade. My photos from this event weren’t that great, so here’s a link to some really good photos by Stephen Chung.